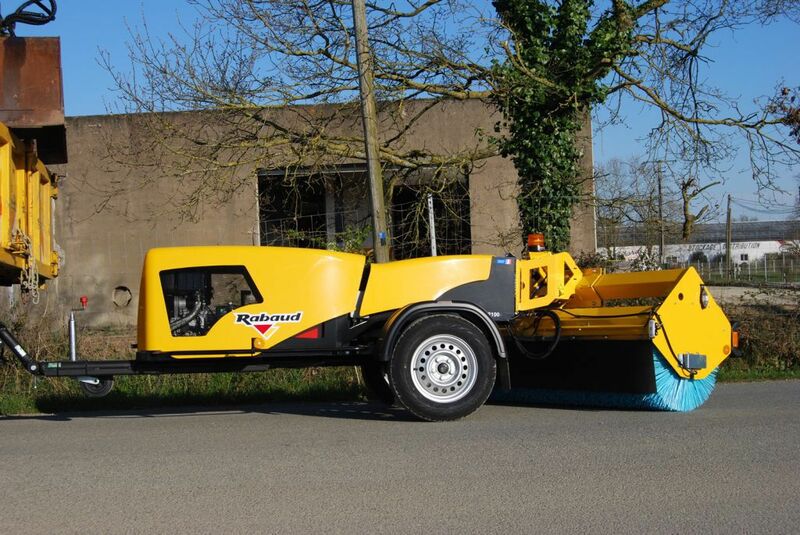 The new towed sweeper TRAKNET 2100 has been entirely revised to comply the european directive N° 2007/46/CE. Linkages through Ø 50 ball-head coupling or Ø 68 coupling ring with short or long drawbar. 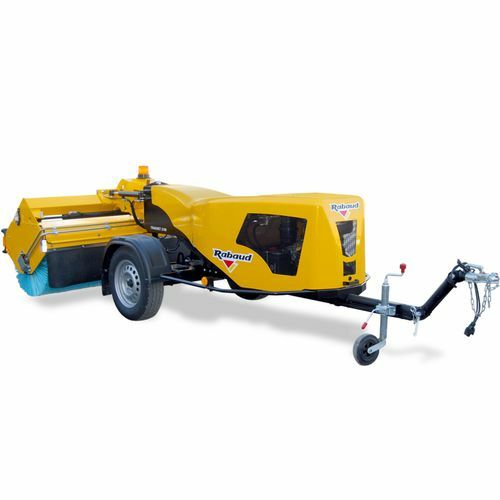 Drive through 14 hp petrol engine or 11 hp diesel engine. 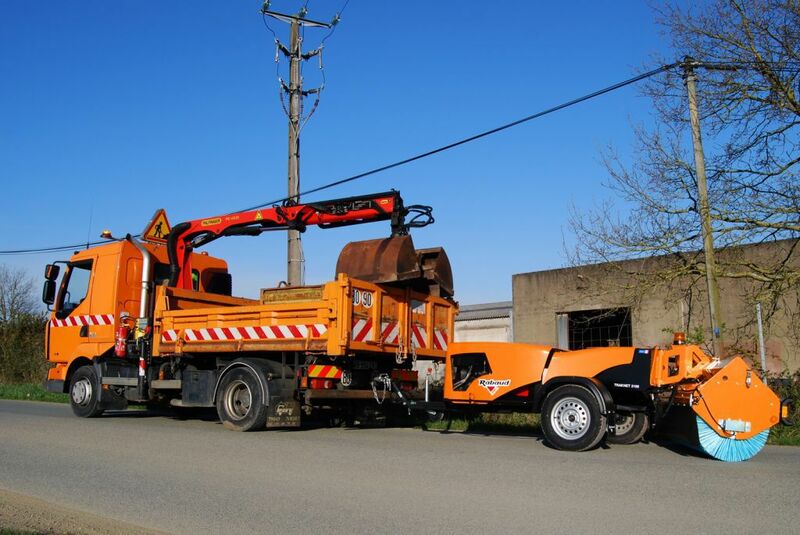 Hydraulic angling of the brush +/- 25° right and left to sweep the waste aside. Hydraulic offset on the brush: 60 cm right/left. All the fonctions are radiocontrolled from the cabin. Sweeping speed from 0 to 15 km/h (advised speed: 10 km/h). Transport speed: 130 km/h maxi. Its use is even easier: hydraulic suspensions, jockey wheel, mechanical swinging to follow the road conformity. 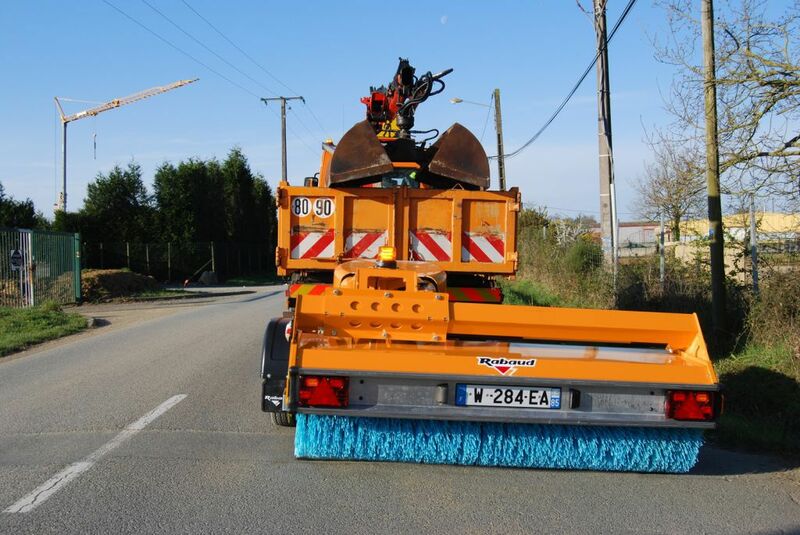 The sweeper's weight is less than 750 Kg = a simple driving licence is required. The brush is adjustable in the height according to its wear. Road fittings: back red lights, direction change's signal, reflective device, license plate holder with lights. In option: revolving light, spare tyre, programmable centralized lubrification .